Stand 21 develops a new generation of equipment for drag racing drivers. Stand 21 and Al Anabi (Alan Johnson Racing) NHRA racing team, 2010 Top Fuel champion, with Larry Dixon at the wheel announce their partnership . Del Worsham and team manager Chad Head, Stand 21 was able to develop and produce a wide range of equipment specially conceived for dragster drivers. 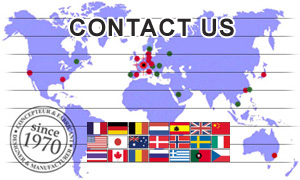 These equipment standards exceed the SFI, 3.2 and 3.3 level 15 standards requirements. We thank the SFI for establishing these very stringent standards to improve the safety of drivers. 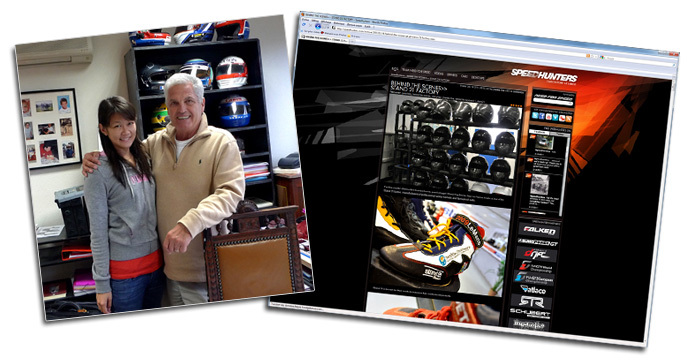 The racing suit product line ST3025, ST3020, and ST3015 HSC, has been increased with the addition of drag racing equipment; Helmets, visors anti-fog, skirts (Fire resistant) helmets, gloves, arm restraint, boots and over-boots all certified under the SFI 3.3 standard Level 15, 20, or other. If you feel good and you're confident, you'll probably be more aggressive. 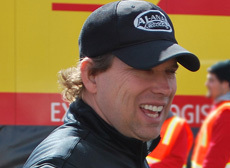 If you're bound up and not feeling very good or very comfortable at what you're doing, you might not have that same feeling” Del Worsham said in an exclusive NHRA interview following Del winning the Gainesville event. 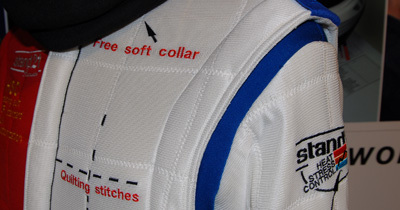 The epitome of motorsport racing suits, The ST3000 HSC, made of the revolutionary fiber pAIRformance® woven exclusively for Stand 21 (Air Force, ST3025 HSC, ST3020 HSC and HSC ST3015) is now available in a new Brilliant White color. 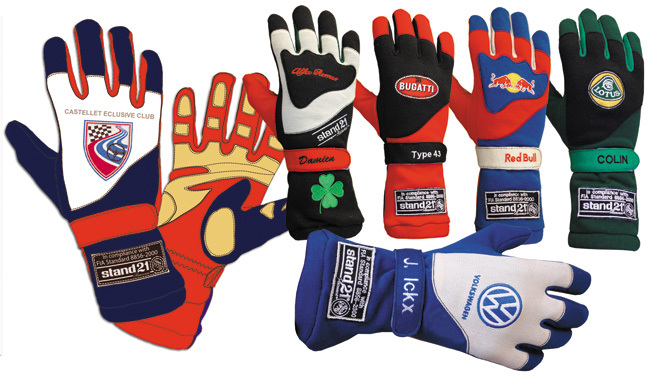 Contact your personal Stand 21 representative to create your pairs of gloves, combining our Nomex colors with your choice of embroidery,( FIA certified, SFI on request). The Balaclava allows safe removal of helmets. 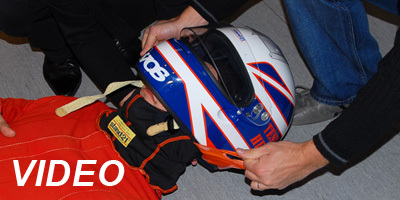 Stand 21 in close collaboration with motorsport medical professionals, conceived and launched a new FIA certified Balaclava that is both easy to use and efficient in removing helmets from the heads of injured drivers in case of accidents. The LidLifter balaclava (without any accessory), will enable medical and rescue teams to intervene with ease while minimizing the risk of damage caused by helmet extraction. Please click on this link to see a live demo of the Stand21 LidLifter. Moreover, the Stand 21 balaclava range is offered in black. Come & visit us to choose yours. 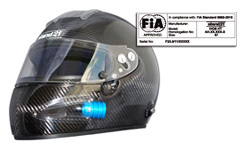 The IVOS helmet is the first and only FIA 8860-2010 approved helmet. To this date, only the Stand 21 helmet earned and exceeded the new FIA 8860-2010 standard and is listed in the FIA technical list 33. This helmet, with its FIA Standard provides you with the highest head protection level possible on the world market (sports car). Old car passion and reminiscence of past glories! For the 11th year, Peter Auto and Stand 21 have renewed their agreement to provide the official collection of race wear of the Tour Auto Optic 2000 race. 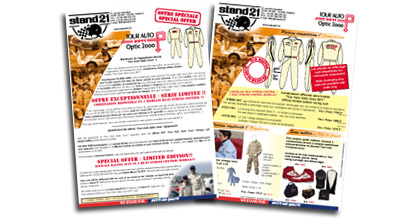 To order this nostalgic race wear, regardless if you're a competitor in the Tour Auto Optic 2000, please contact us. 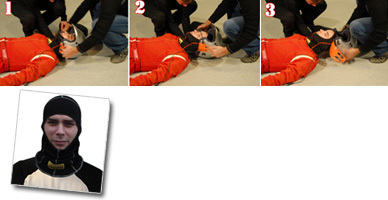 82 pages devoted exclusively to race driver safety apparel. Safety, combined with performance in unprecedented comfort, this catalogue will provide you important safety information, and will help your performance, all in greater comfort. Take home with you our catalog that includes the official Porsche Motorsport collection presentation DVD. A journalist from Singapore toured our Stand 21 headquarters. Our thanks and we are commending Miss Cheryl Tay for the excellent informational work she has done during her visit in our factory.